We are very excited to announce that we will be hosting our second Lost Recordings evening on the evening of Thursday 30th November. We are hoping that you can join us from 7:30pm at the Sheldonian Theatre and then stay and chat with us over some drinks in the striking and intricate roof of the the theatre and enjoy 360 degree views of the city from the rooftop cupola. We will be playing another of Devialet's amazing Laquers, this time Ella Fitzgerald's 1961 Live performance at the Concertgebouw, Amsterdam. The Devialet UK team will be available to answer any of your questions on the evening and of course Jon and I will be on site to catch up with those of you who we have neither spoken to or seen this year! 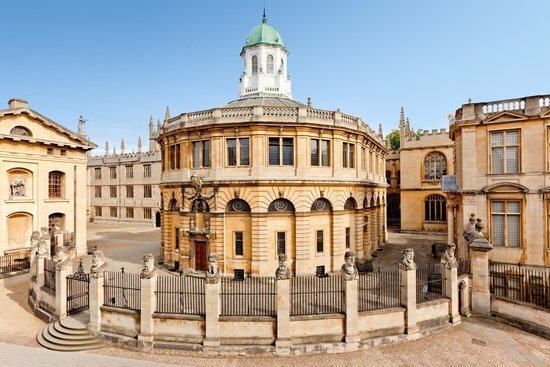 The Sheldonian is an amazing venue and we cannot wait to bring the Lost Recordings to life in the heart of Oxford. We are about to start opening invitations on our mail shot, but I wanted to give DevialetChatters the opportunity to book first. From both Jon and I, and the team at Devialet, we would be delighted if you would join us. Are there any plans for subsequent Devialet related events? "The Lost Streamer Board" perhaps? Excellent news! This should be good, past events with Mathieu have always been both enjoyable and highly informative. Spaces are still available for those of you considering coming along. Please let us know if you would like to attend and we will make sure that seats are available for you. My favourite store for all Devialet and other Hi-Fi related products exceptionally polite and helpful staff. Enjoy everyone that is attending the event. Current time: 18-Apr-2019, 13:22 Powered By MyBB, © 2002-2019 MyBB Group.